Jaydeep Steels is a leading name in the field of Monel Pipes & Tubes Suppliers, in India, as well as worldwide. With our pioneering and focused approach, we make sure our Monel alloy tubes and pipes are prepared with the best grade of material. They are available in grades such as Monel K500 and Monel 400. Monel belongs to the nickel alloys, where the content of nickel is between 65-70%, copper is between 20-29%, iron and manganese is approximately 5%, and rest is filled by other compounds. Monel has properties like highly corrosion resistant, stronger than steel, malleable, low thermal expansion coefficient, highly resistant to alkalis, etc. 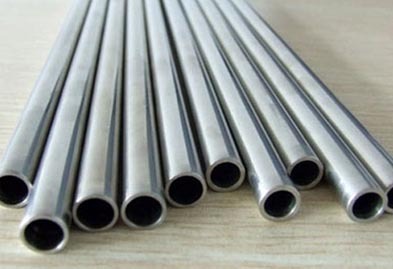 Monel Alloy Pipes and Monel Tubing are used in Hardware industry, Petro-Chemical Industry, Oil and Gas Industry, Nuclear Industry, Pulp & Paper Industry, Research & Development, Defense & Development Industries. Monel Seamless Pipes & Tubes are made by one of the three methods – piercing, extrusion, and gun-drilling. Seamless pipes and tubes are used for manufacturing components in gas scrubbing plants, seawater cooling plants, wires in electrostatic precipitators, and processing plants. Monel Welded Pipes & Tubes can be manufactured either by hot or cold rolling a coil of steel. Monel Cold Drawn Pipes & Tubes are most in demand because of their advantages like closer tolerances, excellent mechanical properties, and a fairly smooth surface finish. It also has increased tensile strength and yield strength. MonelElectropolished Pipes & Tubes have the benefit of having a smoother, more reflective surface which reduces product adhesion and improves surface cleanability. 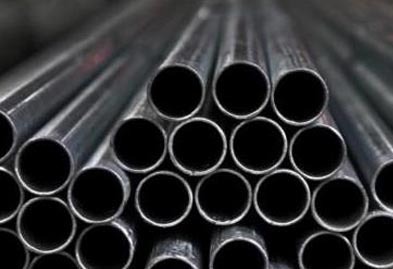 At Jaydeep Steels, the Hastelloy pipes and tubes are available in different shapes like Round, Square, Rectangular, Hexagonal, Hollow, Oval etc. Contact us today and avail a free estimate! Grade Monel 400 (UNS No. N04400) Pipes & Tubes. Jaydeep Steels stocks a wide range of materials and grades. Below are a list of all standard monel pipes and tubes materials and grades we stock. Our experienced team of metal experts will get you the metal you need when you need it. Call us today for your Monel Pipe & Tube Needs!